provided on refractive surgery, ocular therapeutics, and investigative techniques. Foundation information and clinical advice is offered on essential areas such as basic sciences, optics, and refraction. 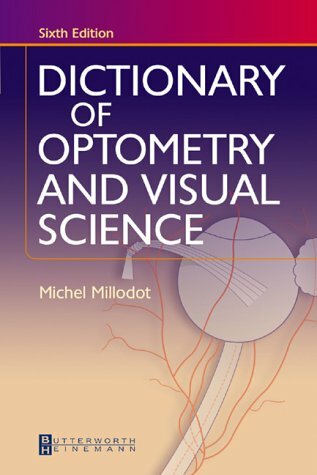 New entries cover ocular pathology, ocular pharmacology and therapeutics; ocular anatomy and basic sciences; investigative techniques; psychology of vision; and visual perception. Thoroughly updated to include the latest information on topics relevant to the optometric profession. A fresh, colorful design helps users find information quickly. New tables and illustrations highlight and clarify key concepts.